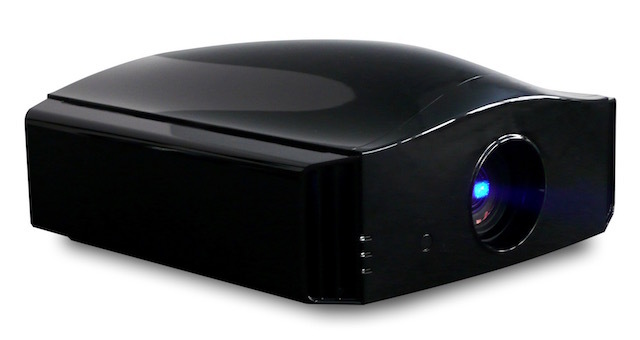 DreamVision releases the new Siglos X-TRA 4K UHD HDR 3D Home Cinema Projectors. The DreamVision Siglos X-TRA can be ordered in any custom RAL paint colour to perfectly match your interior design. Each unit is double checked and calibrated by DreamVision’s video engineer who has over 20 years experience to obtain a perfect picture quality and finish. DreamVision also chose the most advanced manufacturing process and luxurious materials chosen for their extreme rigidity and performance in heat and noise absorption (noise level below 20 dB). The new three-chip system used on the Siglos X-TRA Series can accommodate high resolutions up to 3,840 x 2,160 pixels (also known as 4K). Using the latest technological innovations, DreamVision has achieved a breathtaking contrast ratios through an improved light engine (400,000:1 for Siglos 1 X-TRA, 1,300 000:1 for Siglos 2 X-TRA and an amazing 1,600 000:1 for the Siglos 3 X-TRA). Dedicated to sharp pictures and precision, the Siglos X-TRA come with a new and improved Low Latency mode that drastically improves the thrill when playing video games, viewing virtual reality show or experiencing simulations. The Low Latency mode is seconded by the Crystal Motion® algorithm which is a frame interpolation method that brings an immersive experience to sport, concerts or TV shows. In any circumstances, the picture becomes dramatically realistic. In addition to its impressive performance, the Siglos X-TRA projectors are also easy to install. The input panel, concealed on the back of the projector, offers quick access to a wide array of connections. The 2 x zoom, combined with an electronic lens aperture, will allow for perfect adjustment in virtually any residential installations. With the fully motorised and remote controlled lens, the installation becomes easier and faster. The Siglos X-TRA Series will accommodate almost any kind of setup thanks to the ±80% vertical shift and the ±34% horizontal shift. And if that is not enough, the projector can be put aside further thanks to the crisp, high quality Keystone. The Siglos X-TRA has many colour space presets precisely calibrated to most current standards such as BT.709 or DCI-P3. It is also capable of covering more than 80% of BT.2020 color gamut. Thanks to its two HDMI 2.0b, the Siglos X-TRA supports the latest UHD/4K recommendations and Perceptual Quantization gamma curves but also the more conservative HDR formats such as Hybrid Log gamma used by BBC, NHK broadcasts. When it comes to HDR content, any lack of precision would lead to disastrous results on the screen. This is why the HDR support is continuously improved and now the Siglos X-TRA has a new dedicated colour profile that can be finely tuned and it can also auto-detect the MaxCLL and MaxFLL HDR parameters so the picture is much more natural and precise, optimising the 2,000 ANSI lumens output to obtain even brighter HDR pictures with default settings. For the DreamVision R&D team it has been very important for 3D to be done the right way without sacrificing 2D performances. Therefore, DreamVision is the only brand to offer the choice of two technologies: Active 3D and Passive 3D. Active 3D is about pure performance, whereas Passive 3D is more about comfort, brightness and cost-effectiveness. DreamVision B.E.S.T Passive 3D solutions are brighter than any equivalent DLP® solution on the market and our newest Very B.E.S.T Passive 3D kit is even better.